For marketers and business owners, social media is an increasingly important avenue for promoting a business-this is the first writing guide specifically dedicated to communicating with the succinctness and clarity that the Internet age demands. 140 Characters is a much-needed guide to the kind of communication that can make or break a reputation online. Appearing alongside the printed edition, an abridged Hypertext Edition will also be published specifically for iPhone by DollarApp in San Francisco. For more information please visit http://www.140characters.com. Bookshop West Portal is a local, independently-owned bookstore frequented during the creation of the text. Event includes a brief presentation, question and answer period, and book signing. 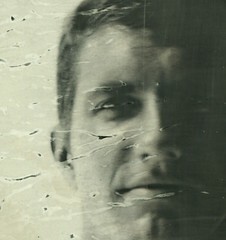 @thebook by @Dom Sagolla. http://140Characters.com A Style Guide for the Short Form. Due to Ship: October 12, 2009. Thanks for blogging, linking, tweeting, emailing, and generally promoting the work. This list contains books listed at the back of 140 Characters, as well as a few extras I’ve added since sending the book to print. I’m honored to report some early reviews. Inspired by new mediums of publishing, such as Twitter, this book provides a refreshing look at the breadth of linguistic techniques that shine with the advent of the modern short form. In the midst of all the conflicting hype about Twitter, Dom Sagolla has produced a veritable bible which will guide anyone in participating in the most interesting social networking phenomena of the last several years (without appearing to be a newbie). His deep insights will inform both beginners and long-time Twitter users alike, and his inimitable style makes it an enjoyable read! With [140 Characters], @Dom has captured and conveyed the potent new short form language of the emergent 21st Century Twitterverse in a way that only a master practitioner and true pioneer can. 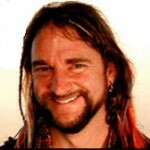 Bruce Damer, Virtual Worlds pioneer and author of Avatars (PeachPit Press, 1997). Reading 140 Characters, I found out how to create value and look cool using Twitter. Gifford Pinchot, co-founder and President Emeritus of the Bainbridge Graduate Institute, author of Intrapreneuring (Harper Collins, 1986). The advent of Twitter and other social networking sites, as well as the popularity of text messaging, have made short-form communication an everyday reality. But expressing yourself clearly in short bursts-particularly in the 140-character limit of Twitter-takes special writing skill. 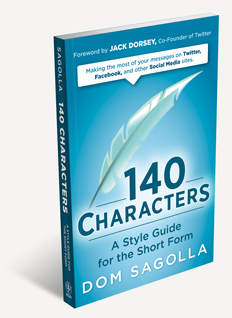 In 140 Characters, Twitter co-creator Dom Sagolla covers all the basics of great short-form writing, including the importance of communicating with simplicity, honesty, and humor. For marketers and business owners, social media is an increasingly important avenue for promoting a business-this is the first writing guide specifically dedicated to communicating with the succinctness and clarity that the Internet age demands. 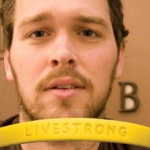 Estimated Ship Date: October 12, 2009. Brian Oberkirch captured a few thoughts about writing “140 Characters” during last weekend’s iPhoneDevCamp in Sunnyvale. Enjoy a nice, brief interview about some of the principles behind the book. Not only was I organizing iPhoneDevCamp, but I also attempted to finish up the first draft of the book over the weekend. Hectic, but — I finished! The literary topic du jour is Twitter, with an onslaught of book deals about the site being made in recent months. For example, former Gawker blogger Nick Douglas snagged a book deal with HarperCollins on a tome about the wittiest messages written on Twitter, to be called Twitterwit.New York Times technology columnist David Pogue will write a book called The World According to Twitter, which will be a communal effort of sorts containing the best answers to humorous questions he posts on the microblogging site. And Dom Sagolla, the founder of iPhoneDevCamp and a contributor to the development of the concept of Twitter, has been blogging about writing in short form, and recently landed his own book deal on the subject. 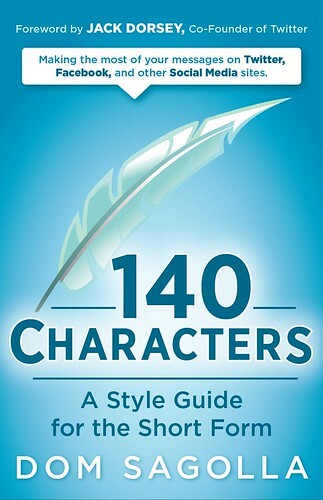 I’m excited to announce that John Wiley & Sons have agreed to publish the book 140 Characters! I’ve already begun to work with Shannon Vargo over at Wiley, to bring this work to print and digital download. In addition, my company DollarApp is producing a companion application which should ship by the time the book appears in print this Fall. This arrangement would not have occurred without the help of Erin Malone & friends at William Morris Endeavor, and Adam Jackson at the Internets. I’d also like to thank Jon Varese for encouraging me, and thank YOU for reading and commenting on this site! The book is currently in development, but you may view a brief excerpt on the new About page. Have you watched the video demonstration of Google Wave yet? What we have here is shrinkage: shorter times to update, shorter updates themselves, by word in translation, or by character in live typing. Any time we see an acceleration of realtime transmission like this, we witness a revolution. With the telegram, then email, texting, instant messaging, Twitter, and now multi-party live typing and translation. So much more of which we have not yet dreamed awaits us. The 140 character limit shaped Twitter and the short format. The limitations of this new “cursor presence” will shape Google Wave and the carrier signals that follow. When you are typing in a Wave and your cohorts can see every action, the lessons of 140 characters matter even more. Your skills as a writer using Facebook and Twitter will shine in this new medium. Google Wave exposes your abilities even more clearly, and even helps you learn via playback, automation, and live translation. Be ready to learn from this new mode of writing and collaborating, and bid adieu to email as we know it. Nothing can really replace Twitter at this point, but we may soon have the perfect companion. For the skeptics: watch to see if the experience degrades gracefully across devices. Consider Twitter or your service of choice to be your platform, the board that carries you across this wave. Don’t let go, but get ready for a wild ride.